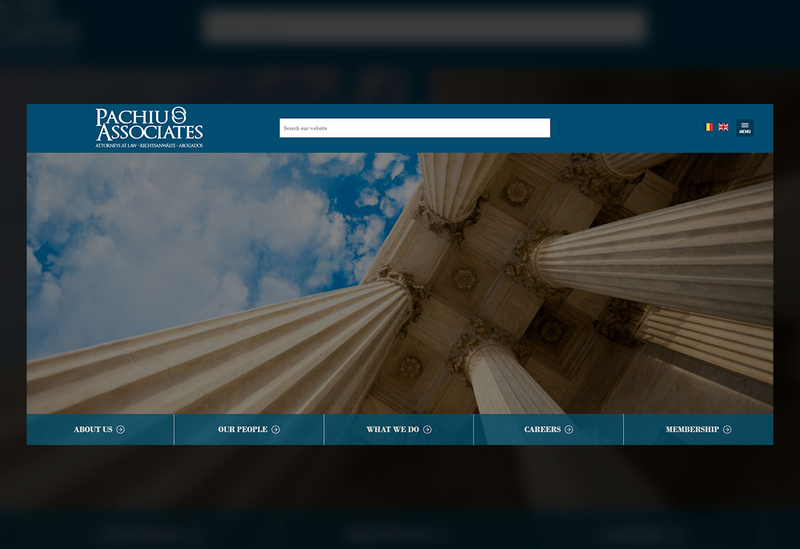 The "Pachiu & Asociatii" website is the ideal business card for one of the most experienced law firms in Bucharest. In addition to presenting members and lawyers along with details of their work, the platform provides users with relevant information about the latest news and events in the field, their areas of expertise or documents that can be downloaded. Each affiliate member has a page dedicated to the site where the most important data are displayed and the related site. Design implementation according to criteria and elements provided by the client. Possibility to upload and download documents through the site. Different page templates for each section of the website. Search system in all sections of the site. Admin panel to modify different areas of the site (texts, images, pages, menus). The Dashboard is one of its kind and can be used without any restrictions on the user. The content is displayed both in Romanian and English with the possibility of changing the language. Also, the content can be administered separately in the two languages. Website design and structure are responsive, so content is displayed properly on any device on which it is accessed, regardless of its size (mobile, laptop, tablet). The platform is linked to the main business pages within social networks (linkedin in this case). Form for quick contact of a lawyer's representative. The contact page also shows the address with the Google Maps map, phone numbers with special dial and general emails. The Home Page can be managed through the widgets system, thus displaying only desired items throughout the website. The management platform allows optimization of the search engine site: meta features; Image optimization, sitemap, conversion and tracking codes, etc. Pachiu & Asociatii is a law firm with 15 years of experience on the profile market, founded by Laurentiu Pachiu, one of the first business lawyers in Romania. The law firm has progressed every year, and has become one of the most popular and prestigious law firms in Bucharest. This is primarily due to the ability of the company to provide its clients with customized and effective solutions to the challenges they face both in Romania and abroad.